Computer Cable Store™ Sun Monitor Adapter will allow you to connect a Sun Workstation to a PC Monitor or a new HD15 Sun Monitor. 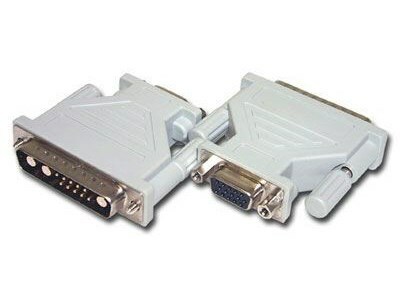 This Adapter, however, only supports monitors or projectors that are capable of scanning with a minimum of 61.8 KHz horizontal and 66 Hz vertical, and it must support composite sync. This item, as with all of our products, reflects our vision of low cost without losing performance or quality. Product shipped arrived on time and as advertised. Great doing business with ComputerCableStore.